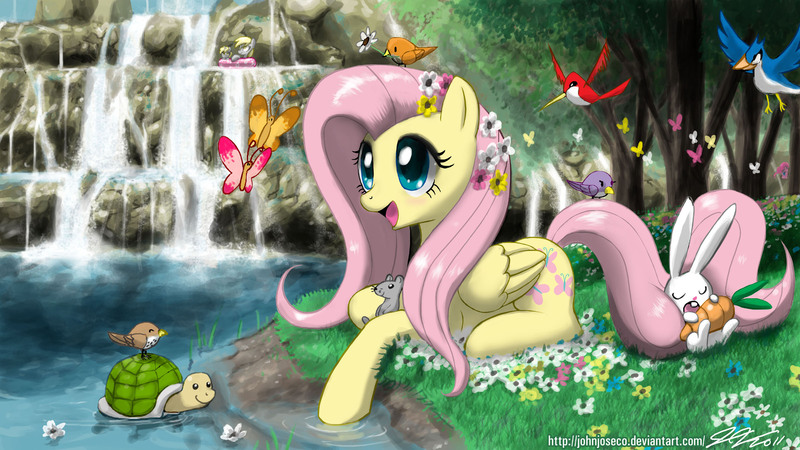 Fluttershy. . HD Wallpaper and background images in the My Little Poney club tagged: my little pony friendship is magic fluttershy. This My Little Poney fan art contains kisima and chemchemi. There might also be bouquet, corsage, posy, and nosegay. OMG!! I SEE DERPY!!!! on the waterfall! woot!woot! lol. Derpy is like wheres waldo? omg derpy and fluttershy looks so cute!